Little Albert had a terrible study completed to him in my opinion. He was part of a study where he would be tested using different items to see if he was afraid of them. Of course we would think that little albert was afraid of something but he did not seem to be afraid of any of the items that was put in front of him. So they found a way to make him afraid of the items that were placed in front of him. They would hit pans behind him and make a loud noise right by little albert's head so that he would fear the sound and fear the animal. The Bobo Doll Experiment was a very interesting study that was completed by Albert Bandura. Most people at the time thought that learned behavior such as aggression was not something that occurred. Once Albert Bandura completed his study it showed that children would react the same as an adult to a bobo doll. The adults were attacking the doll and making the children think that hitting the doll was a good thing and something that they should be doing. So when the adult left the room you can only guess that the children did the same behavior as the adults did and started hitting the doll. There were many different things that I learned when reading about positive and negative reinforcement an punishment. I had already knew something's about both positive and negative punishment but I did not know that much information about reinforcement. When I thought about what was reinforcement I had thought that it was just repeating something over and over again but after reading that chapter I had learned that it was more than that. How you reinforce behavior can have both a positive and negative impact on everyday situations. For example, a positive reinforcement would be when a child would get a gift for doing a chore that they needed to complete where as a negative reinforcement would be putting sun screen on because you know that you will get a bad sun burn if you don't. An example of positive punishment would be a child picks his nose during class and the teacher reprimands him in front of his classmates. An example of negative punishment would be two siblings get in a fight over who gets to go first in a game or who gets to play with a new toy, the parent takes the game/toy away. 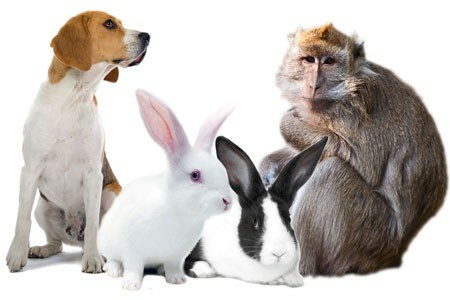 By using animals in research it has contributed to a vast amount of information being discovered. The basic principles learned from these experiments are applicable to humans. However, a main argument is that the research has limited applicability because humans and animals are not the same. According to the text, there are advantages and disadvantages to using animals in behavioral research. The advantages of using animals are: 1.) You can control their genetic makeup and learning history, 2.) Researchers are able to more strictly control the experimental environment for animals versus humans, 3.) Some research cannot be ethically conducted on humans. Personally I don’t think its right to cage an animal and subject them to starvation and electrocution. As the years have gone by, it seems as though animal research is not as gruesome as it once was, but it still exists in some form. What are your thoughts on this? In Chapter 9, one of the topics that really peaked my interest was Masserman's Experimental Neurosis. His experiment involved cats, however, it was compared to a disorder known as PTSD (post traumatic stress disorder) for humans. This was interesting to read for me because my husband suffers from PTSD and even though I know what the symptoms are and why he has them, I didn't know how this diagnosis came about. In Masserman's experiment, electric shocks were used on cats and the outcomes were similar to the symptoms associated with PTSD. Similarities: restlessness, agitation, withdrawal, phobic responses. Operant conditioning is a type of learning where the future probability of a behavior is affected by its consequences. Skinner did not like how Thorndike explained consequences as satisfying or annoying so he avoided any speculation about the thinking or feeling aspects. Skinner focused on the effect the consequences of the future probability of the behavior would have. An operant behavior is a compilation of emitted responses that have the same consequences. That then affects the future strength of those responses. The book states that another name for operant behavior is operants. An example of an operant behavior from the book would be, think of a rat pressing a lever and receiving food, do you believe that there is a higher likelihood that the rat will press the lever again? Temperament is an individuals biologically determined base level of emotionality. It affects how you react to stimulation and refers to how emotionally reactive you are. A person’s temperament is a combination of their individual personality traits. 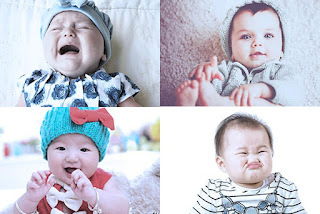 Different temperament traits can be seen in infancy: easy, difficult, and slow to warm up. The temperament that a person has an infant can be an indicator of how they will be as an adult. The easy temperament is described as being in a good mood, adapting to change easily, and has regular eating, sleeping, and bathroom patterns. Approximately 40% of babies are considered to have an easy temperament. A baby with a difficult temperament usually has bad moods, doesn’t respond well to change, and doesn’t have regular patterns. Approximately 10% of babies have a bad temperament. The other general temperament is the slow to warm up types of babies, where the babies are in between easy and difficult. It is considered that approximately 15% of babies have a slow to warm up temperament. Phobias are highly susceptible to treatments based on conditioning. Most other disorders are not as susceptible to treatment. Two basic types of treatment are known as systematic desensitization and flooding. Systematic desensitization is basically showing something to the person with the phobia that brings positive emotion while having that phobia that creates the fear in the background at a distance. Each time this occurs the item that creates the fear is moved closer and closer. This is called a gradual conditioning procedure which eventually eliminates the phobia. Systematic desensitization pairs relaxation with a fear. Flooding therapy is a treatment that has the phobia being exposed for a long amount of time which gives the greatest amount of time that the phobia needs to be eliminated. Rene Descartes was a french philosopher. He was known for the famous line "I think, therefore I am." During his time many people believed that the behavior of people was just based on free will. Descartes said that the body we have functions like a machine. There are movements that our bodies make that are involuntary, otherwise known as reflexes. I agree that our behaviors are a mixture of both, our mind and our body. Our behaviors can be thought out or it could just happen, involuntary. 1.) Positive Reinforcement - the presentation of something that is rewarding or pleasant following a response then leads to an increase in the future strength of the response. 2.) Negative Reinforcement - the removal of something that is aversive or unpleasant following a response then leads to an increase in the future strength of the response. 3.) Positive Punishment - the presentation of something that is aversive or unpleasant following a response then leads to a decrease in the future strength of the response. 4.) Negative Punishment - the removal of something that is rewarding or pleasant following a response then leads to a decrease in the future strength of the response. In my opinion, these can get a little confusing, but having a breakdown using real life examples can help distinguish the differences in each. I have three children, so the examples involving children are easier to understand because I can relate more with them. The first time I had heard about the Bobo Doll Experiment was in my Intro to Psychology class. It was one of the most interesting subjects we had talked about and reading about it again for this class made me feel the same way! Albert Bandura's Social Learning Theory talks about how people learn from others through observation. He conducted the Bobo Doll Experiment which showed the reactions of children to a Bobo Doll after watching the adults. I have children of my own and it's very important to watch what you say and do on a daily basis. It's amazing how much children mimic and try to be just like their parents; which is what the experiment shows. Social Learning Theory- the view people learn by observing others. I shared a video clip from the movie, Big Daddy, to show an example of social learning theory. You develop behaviors, views, and attitudes from social context. In this clip, you see how the little boy develops the same behavior as his mentor. Who does inappropriate behavior that feeds off to the little kid. Psychologist, Albert Bandura, assimilted two theories into four different requirements for learning - observation (environmental), retention (cognitive), reproduction (cognitive), and motivation (both). Above is a clip of example of operant conditioning from Big Bang Theory. Operant conditioning is a type of learning where behavior is controlled by consequences. In this example, anytime Sheldon went to go do something and finish, she would make sure she stopped him before he could do so. Positive Reinforcement- Using a reinforcing stimulus to help behavior to occur repeatedly in the future. For a personal example of positive reinforcement for me, I work in a school and also provide in-home ABA therapy sessions with children on the spectrum. Positive reinforcement is a major part of ABA therapy, when a behavior occurs that is appropriate, children will be rewarded with a reinforcement of their desire. That is also in ever day life. Children do their chores, they will be rewarded with allowance. Children finish their homework, they will be rewarded with their iPAD. We encourage positive reinforcement as a motivator for correct appropriate behavior to occur again in near future. It is for children to know that when they are doing the right thing, they will be rewarded with their favorite things, so therefore, they will continue to do so in the future. A reflex is an automatic response to a stimulus. They include anything from blinking in response to a puff of air or turning in response to a strange noise behind you. All of the reflexes that we have are basically linked to survival. When babies are born, they have a multitude of reflexes that help them to survive. In order to eat, the rooting and sucking reflexes occur. Rooting guides the baby to find its mother’s breast or its bottle. Once it has found where its food will be coming from, the sucking reflex begins. The sucking reflex often doesn’t begin in utero until about the 32nd week and isn’t fully developed until the 36th week. For some infants that are born premature, this reflex can be weakened. Most of the primitive reflexes seen in infancy disappear as time goes on, but others such as vomiting and salivating remain. Here are some examples of positive and negative punishment from Frozen and the Lion King. Punishment can be defined as when a person engages in a behavior that has an immediate consequence which decreases the likelihood of them repeating that behavior. As you'll see in the video, when Simba was talking discouragingly about his past, Rafki hit him on the head which will act as a reinforcer for Simba to not talk that way again. In Frozen when Elsa uses her powers in front of Anna, Elsa accidentally hurts Anna and then is afraid to ever use her powers in front of her sister again. Here is a good example of operant conditioning in Disney movies. Operant Conditioning is when specific consequences are associated with a specific behavior. In the video an example of a positive reinforcement. Cinderella is told that she can go to the ball if she does all her chores. The ball is the stimulus and the chores are the behavior. Operant conditioning has always been one of my favorite components of psychology because it was always simple to understand, yet so interesting. This is the learned method that occurs with punishment and rewards for behavior. Operant conditioning is in many TV shows. In the clip I provided the show Ed, Edd n Eddy had an example of operant conditioning. The boys were stuck with bandages and once the had shown foul behavior, the bandage was ripped off to inflict a punishment of pain. The boys learned soon to be on their best behavior and reinforced proper social behavior by the end of the scene. I've always been interested in building and breaking habits. Sometimes they seem like such simple things to do, but anyone who has struggled with breaking a bad or unwanted habit would know that that is far from the truth. Habit and conditioning is a process that takes a lot of time and patience and is definitely not something that is fostered over night. Learned behaviors are behaviors that are learned over a period of time. Over this period of time the repetition of these behaviors form a habit.